Mother's Day is super early in the UK this year, and if you haven't purchased the perfect gift for your Mum yet I'm here to help! Chocolates, flowers and candles are all nice, but rather generic. Plus, your Mum can easily purchase these for herself when she's after a treat! I must admit, I was feeling rather lost at what to get my Mum this Mother's Day. We love to visit places together, whether it be for a spot of shopping, lunch out or a local attraction. The gods of fate became involved, and I was contacted by buyagift. 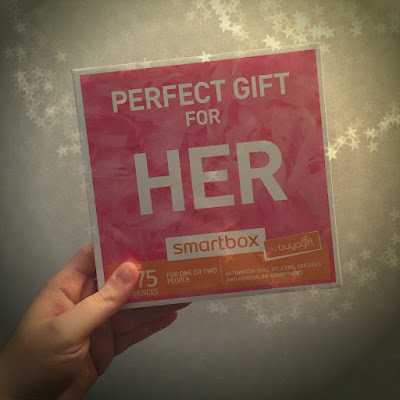 Their smartbox for her has over 1275 experiences, giving the recipient the choice of an activity from a wide range of options, some for one, and some for two people. From a relaxing spa treat, a lovely lunch or an adrenaline adventure, the experiences are viewable by location. Vouchers are valid for ten months and there are hundreds of additional products to choose from online. I think the hardest part will be for my Mum to decide which to pick! So thanks buyagift for saving my bacon this Mother's Day! For further information visit buyagift. Happy weekend! Hope yours has been a great one so far. After watching the rugby on Friday night, I've had my head down all weekend, working my way through a super long to - do list! In between the breaks I've been checking out these interesting reads! 13 Google Chrome hacks: Chrome tends to be one of the more well behaved browsers, and these hacks are pretty exciting! Jenna Bush Hager and Barbara Bush in Southern Living: the Bush twins are lots of fun, and I'm excited to see the full interview and shoot in the magazine! 50 best antiques and vintage shops: Homes & Antiques shares their list of the 50 best antiques and vintage shops that you really must visit! The oldest home in Washington DC: #housegoals! This week, there's only one video that I could include... 106 year old Virginia McLaurin visited the White House for Black History Month. How can a timeless design be updated for the modern world? Mary Jardine may have found the answer. 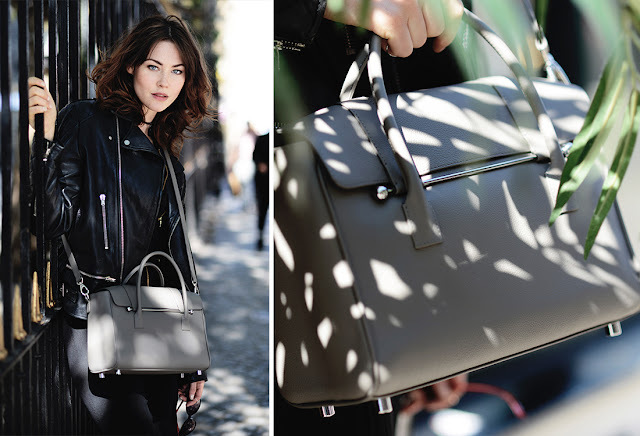 Her handbag line is inspired by the quintessential music bag, the luxury leather designs made exclusively in England. 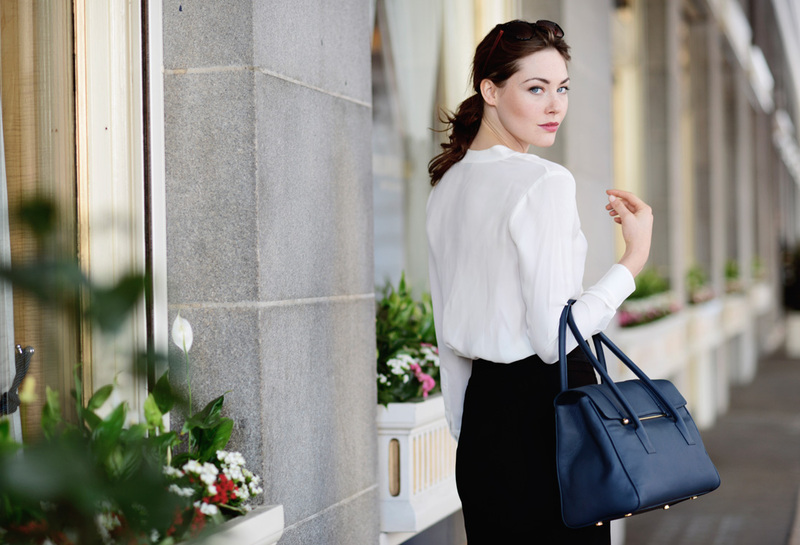 A new line that's picking up lots of attention, I spoke to Mary about the process behind her designs and who she would love to see carrying a Jardine of London bag. Enjoy! I would say that I have had much experience working for other people but feel happiest at the helm of my own company. The hardest thing I find to do is delegate. This tends to mean I make my life harder for myself as I want to control everything within my business. I have learnt that it is a very good idea to let other people do the jobs that I am not so good at doing. What attracted you to start your own business? I wanted to feel proud of something I had created myself and feel passionate about. I knew that in time I would realise that I would be more disappointed in the things I hadn't done with my life than the things I had. I wanted a new challenge in my life, my two boys were all grown up and it was time for me to do something for myself. What have been the highlights and challenges? The highlights have been bringing to life my creations and getting involved in an exciting industry that I believe in. Meeting some wonderful talented creative people who share the excitement and joy of creating beautiful luxury leather goods. The challenges have been finding the right people to work with. It has been an experience to say the least, trusting people you have only just met is hard. You are completely relying on someone else who can make or break your business and dream. People make businesses. Do your research and more research first, create your own story and brand, make sure your product(s) are really good and work, and above all make sure you have a market place where you will receive the all important sales. Never be frighted to ask people who know more than you do - it is the only way to learn. Be like a sponge and soak up as much information as possible. 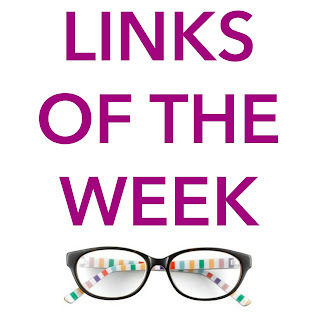 Read inspiring books about your industry, read what is going on in your industry, read, read and read some more! Tell us about your collection and the design inspiration behind it. This is my first collection. My inspiration for the design comes from my childhood memories of my leather music case. 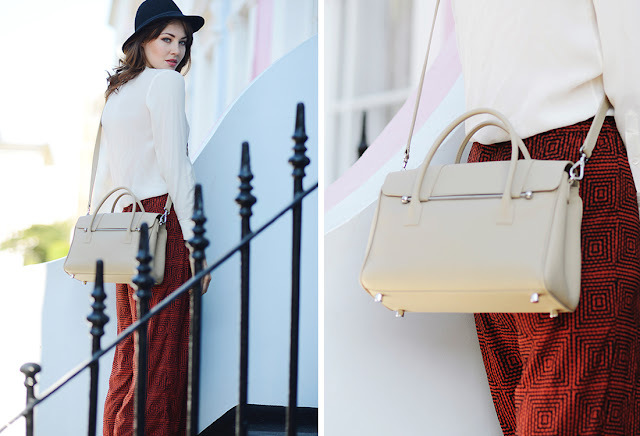 I always wondered what it would be like to have something incredibly chic with lovely clean lines incorporating the music bar but at the same time have a practical handbag that actually worked. My inspiration for the star used in my brand name comes from the Jardine Star Brooch which was left to Queen Elizabeth II in 1981 by Lady Jardine. 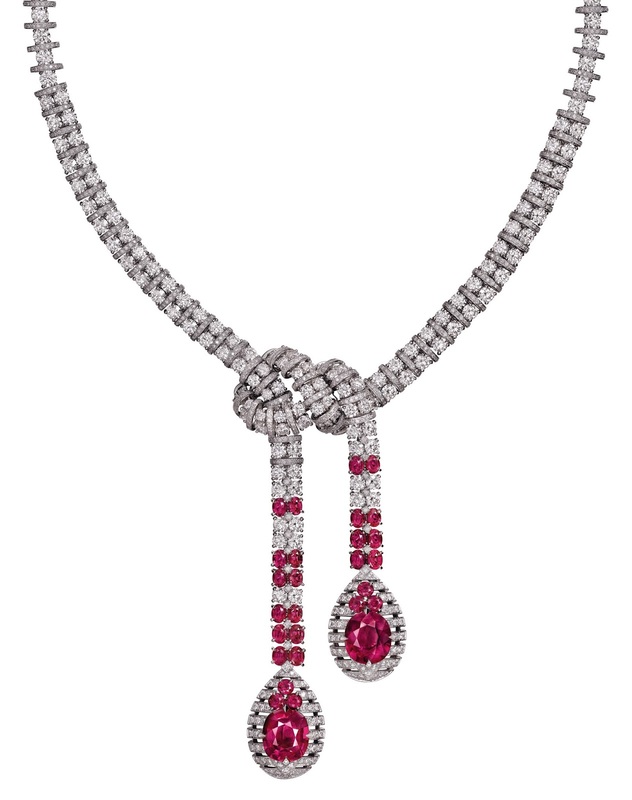 The brooch has eight points and a diamond is placed on a knife-wire between each point. 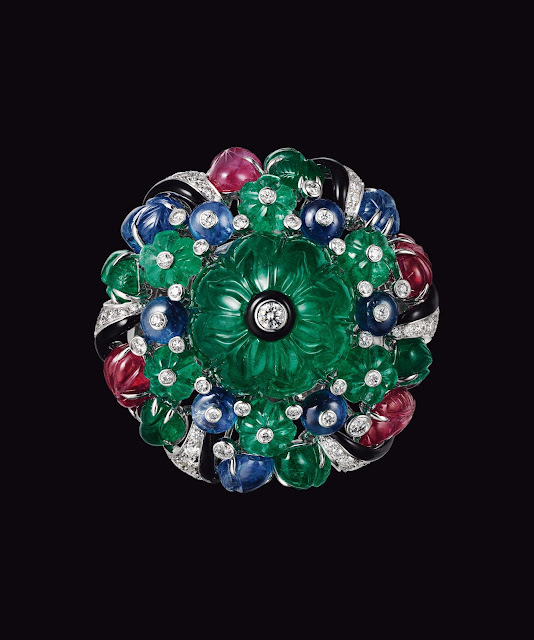 The Queen wore this brooch for her diamond jubilee pageant trip up the River Thames in 2012. It is one of her favourite brooches. Who would you love to see carrying a Jardine of London bag? I would be proud for any woman to carry one of my bags. I want them to feel part of the Jardine of London story and engage with the brand. I have supplied bags to Keira Knightley, Naomie Harris, Emma Watson and Rosamund Pike. These are all beautiful successful women I admire. I have a husband who has been in training for 25 years - he is my second pair of hands. Without him I couldn't do what I do. We support each other in our separate businesses and if I am unable to cook supper he will do it - which is wonderful! My husband is my mentor in business and private - followed closely by my two grown-up boys who have been my inspiration for driving my business forward. My eldest son is setting up his own business with the support of my husband. He has tremendous entrepreneurial skills which is just great to see. Julie Deane, The Cambridge Satchel company. She has done the most amazing job with her company. Her entrepreneurship is second to none and she juggled it all whilst still having young children. I also hugely admire Arianna Huffington - I think she is quite extraordinary. Her career has been such an interesting one and she has achieved so much. I would like to launch into the luxury retail sector - to enable my customers to be able to go and see and feel my bags. I would also like to assemble a strong team of people who can each bring something different to the table of Jardine of London. This will in turn hopefully enable me to drive my brand forward to growth and subsequent success. The arrival of spring always makes me want to experiment with my make-up! bareMinerals is one of my favourite brands, and I've teamed up with them to give away some of their great products to a lucky reader! Enter using the widget below! The giveaway closes on March 2nd 2016. Presidential Election 2016: Do Candidates “Better Halves” Matter? The 2016 race for the presidency is shaping up to be unlike anything we've seen before. With the South Carolina primaries curbing Jeb Bush's race for the White House and invigorating Donald Trump's plans even more, the path to the presidency will be one that we won't forget. 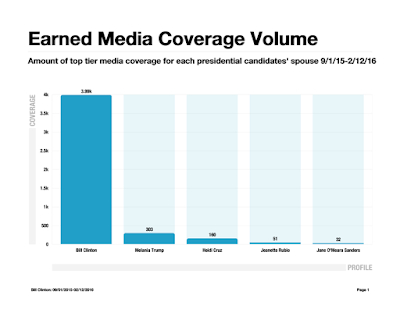 AirPR has been tracking media coverage of the US presidential candidates’ spouses as a way to see which candidate is getting legitimate media traction. It’s an interesting way of looking at the race and one which I haven't seen before. The question at hand was: “Is there ANY correlation whatsoever in terms of spouses who rule the spotlight and the ultimate success of the candidates with whom they share a, ah-hem, bed? With such a wide field of candidates, particularly on the Republican side, AirPR wanted to see what trends emerged when it came to press that was focused less on the candidates and more on the candidates’ spouses. Here's what they found. In the case of the candidates’ spouses, Bill Clinton and Melania Trump lead the pack without question. The reasons for this are clear: Bill Clinton already has high visibility, and as a former president, there is a steady level of media coverage that other people simply don’t have. In the case of Melania Trump, there appears to be a huge curiosity factor. When you start to see articles saying how much (or how little) Melania Trump says, you know you’re in for an interesting ride. Point blank: Both these spouses have star power. While former President Clinton is viewed as a campaign weapon, it remains to be seen what Melania’s role in Trump’s campaign will be. That mystique in and of itself may be one of the key reasons driving her media coverage. Prior to tracking spousal media coverage, we made the assumption that when a candidate did well at a particular event or commanded a certain topic during a debate, a stronger spotlight would shine on the candidates’ “better half”. In fact, this didn’t happen at all. Take Jeannette Rubio, for example. Her husband Marco Rubio, by most pundits’ reports, has performed consistently in the top 4 or 5 with regard to debate performance. This strength hasn’t had any noticeable impact on the number of stories featuring Jeannette Rubio. It’s getting ugly out there, particularly when it comes to Bill Clinton’s past infidelities, Melania’s aforementioned silence, or Heidi Cruz’s children. Long gone are the days where the masses were shocked when Bill Clinton was famously asked on the campaign trail if he wore “boxers or briefs”. Today, questions facing the spouses run the gamut. A recent New York Times feature on Jeannette Rubio focused on how her religious and conservative beliefs often shaped her husband’s beliefs. An article of this nature in 2008 or even 2012 would have had a huge ripple effect on a campaign. In reality, because of faster media cycles and the changing face of media consumption and dissemination, this piece was widely socialized via Twitter and LinkedIn, but didn’t move the dial in public perception or buzz. Early coverage on the candidates’ spouses, for now, is limited. The campaigns seem to grasp of the fact that while spousal exposure can be equated with a sign of a campaign’s legitimacy, there is fear of peaking too soon. As with the the aforementioned New York Times piece on Jeannette Rubio, the story is more about the past than the present. Campaign strategists recognize that increased presence of the “woman behind the man” or the “man behind the woman” humanizes the candidate. We expect you’ll see more of that, particularly in the Republican race, once the first round of primaries reduces the number of candidates. The beginning of primary season will drastically shift the role husbands and wives play on the campaign trail. If early 2016 is any indication, expect to be seeing and reading as much about the spouses as you will the candidates. But what is it about presidential spouses that fascinates us so much? Sharam Fouladgar-Mercer, AirPR CEO has shared his thoughts. 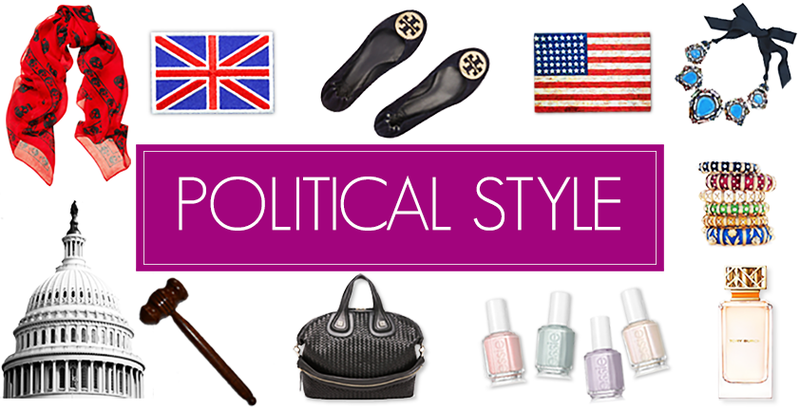 Why do you think the media and voters are fascinated with political spouses? I think it’s the starting point of the fascination that reveals the most about Americans' fascination with the candidates’ spouses. Early on in the campaigning process, to many, there are a group of politicians vying for our attention. Once voters learn about their preferred candidate, they start to ask , “What will this person look like as a president?”. It’s then they view the bigger picture - their family, whether or not they bring an air of leadership or humanity to the role, and of course the role his or her spouse might play . The coverage we’ve seen so far indicates that the media and general voting public are mostly interested in the frontrunners’ spouses from either party, but true to form with this year’s election, there’s no such thing as business as usual. In terms of media coverage and interest, it really has been the Bill Clinton and Melania Trump show. With President Clinton, he brings a steady stream of coverage that is unprecedented for a candidate’s spouse. With Melania Trump, there’s an air of mystique, partly because she’s been mostly quiet during the campaign and also because, well, the Trump campaign is playing with a new set of rules. It’s fascinating to watch. Additionally, I also think the media is fascinated by political spouses because people are wondering how much a political spouse's influence will ultimate influence American politics directly via the candidate. How do you think the spouses will be used by the campaigns moving forward? What is their untapped power? As we go deeper into the primary season and closer to the national conventions, the spouses of the front runners are going to play a complementary role. With Hillary, we have a pretty good idea of how her campaign is going to use Bill. We saw in 2008 that he can be an effective (at times) attack dog to defend against the slings of the opposition. While it hurt her campaign to some extent in ’08, so far he’s taking on a similar role with this campaign, albeit more of an “attack dog meets elder statesman” persona. With Trump, I think you’re going to see Melania Trump step into the limelight more as Trump pivots toward to the center. His campaign will rely on her to soften his edges. Ted Cruz’ wife, Heidi, will play a similar role, as Ted will have to battle the perception that he’s unlikable. I think the one wild card in here is Jane Sanders - we haven’t quite seen what she’s capable of yet. She might have to represent a younger voice, as Bernie would be the the oldest person to ever take office if he wins. We’re already seeing a few interviews where one of her key messages is “75 is the new 55”. For all of the candidates, I think you’re going to see more leaning on the spouses in this election than ever. Thanks to AirPR for sharing this fascinating data with us! Happy weekend everybody! I hope your week has been as productive and interesting as mine! The early part of my week was all about the fun- catching up with friends and discovering a great working space with even better coffee and entertainment! The latter part of my work? Nose to the grindstone with lots of hard work! Here's what I've been reading through the long nights and between meetings! Visions of the future from NASA: looking for some out of this world for your home office or room? Check out these free to download prints from NASA! I love the Grand Tour poster. LFW: Designer homes we love: looking for some fashion and design inspiration? The latest post from Lorfords Antiques shares top tips on how to get the interior decor look of designers such as Ralph Lauren, Aerin Lauder and Thom Browne! 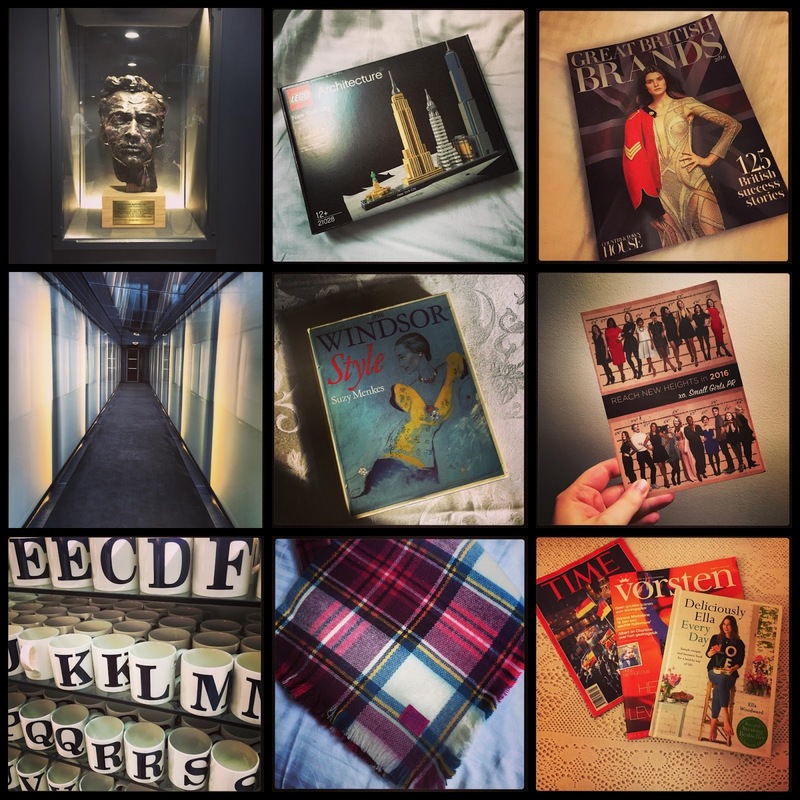 Buckingham Palace as a hotel: ever wonder how much it would cost to stay at Buckingham Palace if it became a hotel? Here's your answer. Tory Burch Ready to Wear Autumn 2016: equestrian meets France in Burch's newest collection. I love it. Lincoln Memorial renovations: my beloved Lincoln Memorial is about to undergo a pretty extensive renovation programme. I can't wait to see the finished result! 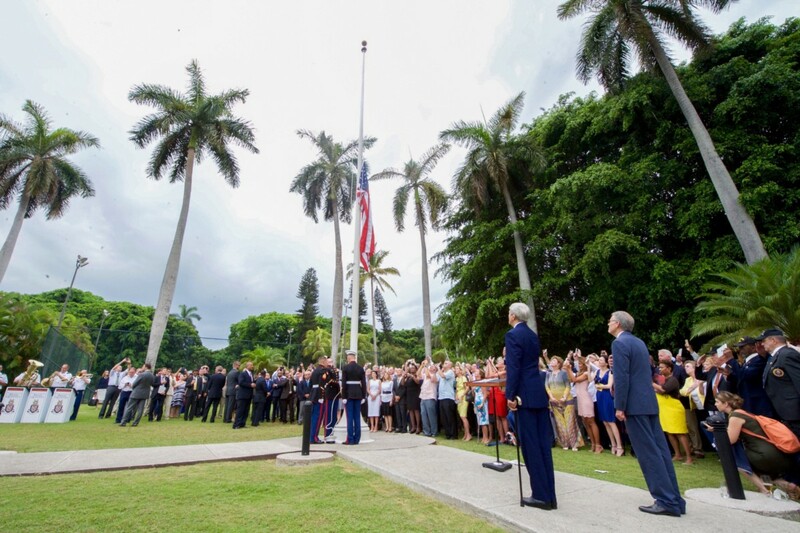 This week, the White House announced that President Obama will be visiting Cuba. He will be the first American President since Calvin Coolidge in 1928 to visit Cuba, and the President and First Lady will be visiting from March 21-22nd. National Security Advisor Ben Rhodes provides a detailed insight into this historic occasion over on Medium. Also this week, President Obama met with a group of civil rights leaders to discuss a range of issues including the Administration's efforts on criminal justice reform, building trust between law enforcement and the communities they serve and the President's priorities during his final year in office. The meeting was the first of its kind as the President convened leaders who represent different generations of civil rights leaders. On Thursday, the President and First Lady hosted a Black History Month Reception at the White House. Adam Japko is paving the way and carving new connections between luxury and a sense of community. Adam is the founder of Esteem Media, home to leading national and local media brands in the luxury home design, gardening, fine wine and multifamily property management communities. 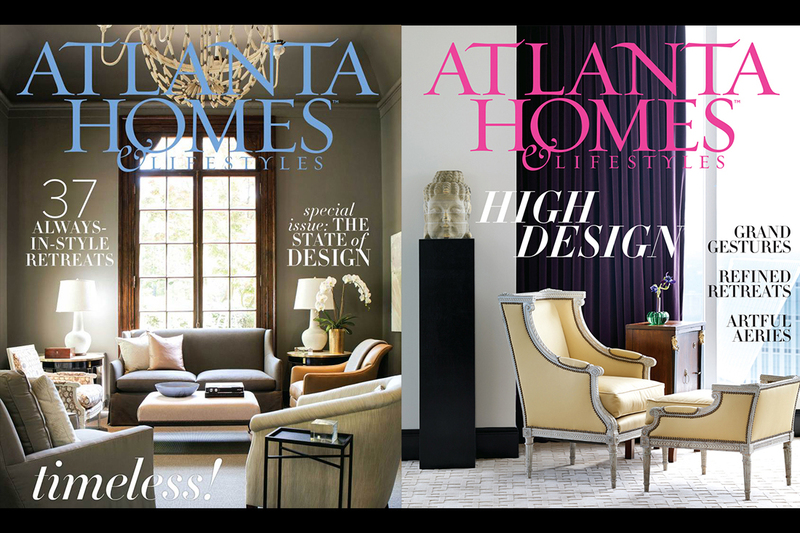 If you read publications like New England Home and Atlanta Homes & Lifestyles, then you'll already be aware of how Adam and his team are nurturing this niche. Adam has a fascinating story to tell, and his commitment to community engagement, quality content and meaningful networking is inspiring to those of us who professionally use social media, blog or create content. Check out my Q&A with Adam below to find out more about his personal style, his design inspirations and his thoughts on the future of digital. I love life, live it for all of its sensual pleasures, and above all, love people and the connections we make together. Over a 30+ year career in media, I ran large businesses in corporate environments, having to navigate complex structures and relationships. I was consistently inclined to connect with our people in ways that felt meaningful to them and me. Somehow, it was natural for me to understand that people bring themselves and their personal values to work and not another version conjured up for the workplace. Honoring everyone's unique life priorities was a simple way to connect and motivate, and for me to feel like something more important than making money was going in in our companies. I live in fear of things getting stale. That's probably a branch of my need for the excitement all the time. I mistakenly think that everyone around me has at least a piece of that same reality in their DNA. I walk around knowing that the status quo has a shelf life. It drives teams a bit crazy, sometimes I get ahead of our stakeholder communities' level of urgency, but folks who get to know me know my need to evolve always relies on practical common sense combined with a dash of informed instinct. I have never been good at inventing the next great thing, instead just seeing initial signs of resonant strategies take shape while everyone else is wrapped around their routines. Building media businesses that help professionals anticipate and leverage new imperatives is immensely rewarding and exciting to me. Tell us about your brand and portfolio. My company brand is Esteem Media. I named it that because the filter I use to acquire or launch businesses leads me to opportunities with highly engaged professional communities where content sharing and human connection make people feel good about themselves. It may sound presumptuous, but I like to think our products play a role in building personal "esteem" for members of our communities That is why social media is such a strong component in everything we do. My personal brand is a bit schizophrenic because I have too many interests. My two main interests are fine wine and interior design. 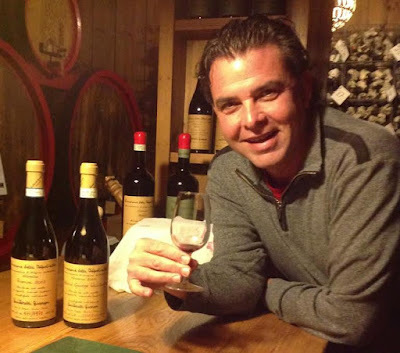 I geeked out on wine in 1986 and never stopped tasting, drinking, and collecting; starting to write about wine at WineZag.com in 2009. The power of creating and sharing wine content on the web and across the social graph convinced me that anyone with a passion and a point of view could become more important, even famous and authoritative, in their extended communities. At the same time, we were helping interior design professionals navigate through social media and content marketing to build their own personal brands. So, sometimes I felt like a drummer, kicking my bass drum and and controlling my high hat pedal simultaneously. I have mainly settled, and happily so, into the design and wine industries publishing magazines like New England Home and Atlanta Homes & Lifestyles, producing conferences like the Design Bloggers Conference and the Home Design Digital Marketing Summit, writing about fine wine and organizing luxury design & wine tours to places like the Veneto. We run blog tours in the design industry and organize a social media conference in a total different market. But again, we only launch or acquire when we know we can play a central role enhancing community connection. 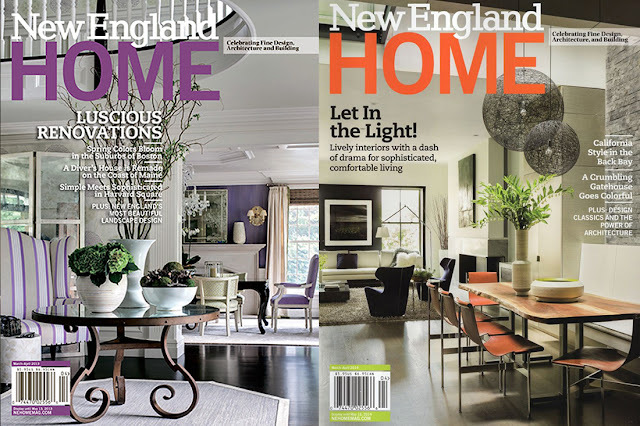 Wine makers, interior design professionals, and bloggers are people. When I stopped working with companies and started working with people my enthusiasm for helping clients turned steroidal. I did not understand exactly why until later when I realized that clients were no longer companies; they were people. And they were creative people, using fruit from a specific patch of land they selected and applying their personal perspective in the farm and during elevage to produce something uniquely beautiful. Designers are the same, curating product with a uniquely creative plan for producing living spaces that inspire and make people feel good about themselves. Blogging took me from twenty buddies who I tasted and talked wine with to hundreds, then thousands, of people I engaged with. On top of that, it gave me access to people I otherwise would have never met. These are the people that make the wine industry go. I love the membership pass it gave me to an influential and authoritative community of like minded people. 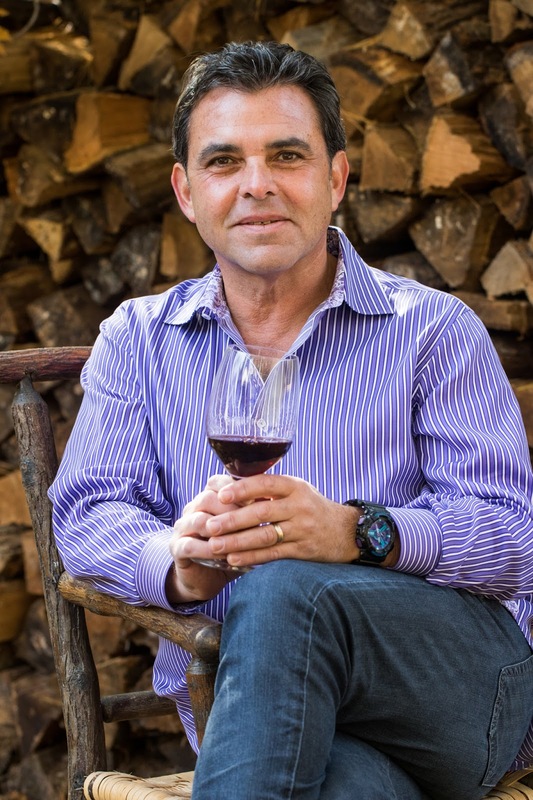 How is WineZag transforming the industry? WineZag does not, nor was it ever intended to, transform the industry. I always wrote for myself. I figured if it resonated with someone, they would like to read what I wrote for myself. Honestly, over the last year due to building a new company, launching our wine and design travel business, and endless elder care my family has been providing, I have not written much. I will begin again, it is just a matter of priority and motivation. How has travel inspired your work? I have traveled all over the world and constantly for at least half my life. Everywhere I go, I am more interested in people, food,, wine and culture than guidebook sightseeing. I am taken by places like Swartland in South Africa's western cape where a bunch of revolutionary high quality winemakers reclaimed aging vines to make the best wines the country and southern hemisphere has ever seen. I love people like Ivo Cubi of Cumar Marble, who started as a marble craftsman in Verona and now runs the largest marble business in the US. Ivo inspired me and helped me travel throughout Friuli and Verona and introduced me to his sister Valentina Cubi, a retired school teacher, who is making some of the best wines in Valpolicella today and to Brummel who crafts some of the most amazing furniture you can find in Italy. Spending a day with Josko Gravner and his daughter on their Slovenian border town and tasting his unique wines made in ancient fashion in buried amphoras big enough to fit a couple people in when empty are the inspirations that push me to discover more about what makes great creative trailblazers tick. Traveling directly to Asia for a dozen years totally blew my mind, and the friends I made there twenty years ago are collaborating with me now on Asian design travel tours e and of all things, a wine and music festival under the Great Wall. I like travel the most because it twists reality, landing me in places that force me to think about what is going on, always leading to another fresh path for me to follow. Interesting question. My first powerful reaction to great visual art was studying William Blake as a young man. His idiosyncratic etchings force you to see beyond the apparent. That tickled my brain in delightful ways. It may sound strange, but the Grateful Dead grabbed my attention and never let go through their easy approach to electronic improvisation that relied on classic American music styles from jazz to bluegrass to rock and roll. They also helped me understand that apparent reality needs to be stretched and tested. On a more grounded level, and In terms of today and the interior design industry, I am inspired by Stacey Bewkes who writes about design at quintessenceblog.com. Always excellent content using any measure, she does it her way and has refused to let any financial or trendy development interfere with her personal vision and commitment to inspired original content. I learn about design, writing, and personal values from her in ways I can not access elsewhere. What do you think are the key techniques for effective community engagement? That's a simple one. Quality, passion, AUTHENTICITY, and a willingness to listen and treat people the way you want to be treated. What do you think the future of digital will look like? That's a big question that I chase all the time in geeky detail, so I need to boil to down to the lowest common denominator. Important disruption is never really disruption. They are just solutions to challenges in doing the things we already do better, faster, easier. If something makes it simpler and easier for people to do the things they already prioritize in their lives, then it will shape the future. There is no need to invent technology for things you think people might want to do. We already have defined priorities and when digital innovation leans into that, making addressing them simpler, faster, and more fun...only then are you picturing the future of the digital world. An example of this is social media becoming a powerful tool for baby boomers because they are networking social animals to begin with, and most want to naturally help other people. Social media helps boomers easily accomplish something they have been doing all their lives. What are your plans for the future of WineZag/Esteem Media? Whatever they are, they will mildly surprise me. There is no five year nor strategic operating plan codified in a manual somewhere. I look at new businesses to buy and start all the time, but our filter has very tight mesh, so I pass 90% of the time. Only when an opportunity has to do with design or wine, or feels like we can play a meaningful central role in connecting a new professional luxury community to power their business results, or when I meet someone that inspires me and I want to work with them, will I know what the future will really look like for WineZag and Esteem Media. Last weekend I was lucky enough to catch a performance of The Glass Menagerie by Theatr Pena. Set in 1930s St Louis, the play chronicles the story of a family living in the midst of an economic recession, struggling to cope with the harsh realities of their lives, losses and hopes for their respective futures. We are introduced to Amanda Wingfield, the matriarch of the family and a faded Southern belle with grandiose dreams for both of her children. Her son Tom, heads to the movies every night, escaping the confines of their sparse apartment and attempting to chase his dreams of becoming a poet. Her daughter Laura, the central character of the play, is chronically shy, battling the lasting effects of polio and unable to integrate with the outside world. Her focus is a collection of glass animals (the menagerie,) and an old gramophone left by her absent father. Amanda, keen for her daughter to have a gentleman caller, persuades Tom to invite a friend for dinner. We subsequently learn that Jim O'Conner was Laura's first crush, the news that makes the painfully shy Laura ill. The climax of the play is Laura and Jim's 'reunion.' The scene between the two characters is tense and emotional to watch as we witness the empowerment that he brings to Laura as she relives why she has always liked him. The consequent 'operation' to the unicorn, and Laura's reaction make the scene even more poignant. A glimpse of what could have been, ended by the truth. Theatr Pena's staging is polished and thought provoking, and the performances by Eiry Thomas, Rosamund Shelley, Gareth Pierce and Rhys Meredith are beautiful in their power and frailty. Director Erica Eirian and her talented team have done a fantastic job of presenting this popular text in a modern and moving way, its themes of love, loss and faded dreams powerfully resonating with the audience. I particularly liked the set design, lighting and costumes, the intimately lit set exposed against the harsh, neon light framing the absent photograph of a long-gone husband and father. Theatr Pena's productions are powerfully minimalistic, reflecting their focus on the spoken word and the performance itself. As a company, they are committed to creating opportunities for women in theatre and to giving audiences in Wales the chance to experience contemporary productions of both classic and modern plays. This was my first experience of Theatr Pena, and their performance of The Glass Menagerie still haunts me several days on. Their interpretation of Tennessee Williams's text is powerfully poignant and provoking, and one which perfectly expresses why live theatre will always have a place in our cultural landscape. Theatr Pena continues its tour of The Glass Menagerie across Wales this February and March. Check out Theatr Pena for more information. I'm really looking forward to the Bath Decorative Fair taking place from March 10th-12th! Known for its eclectic mix of decorative antiques, textiles, Folk Art, Mid Century design and garden antiques, the fair has attracted an international audience and is known in the antiques trade as an excellent source of fresh to the market stock – hence the large queues around the building on opening day. The fair has a vibrant mix of exhibitors from across the UK and Europe and members of the Antiques Young Guns movement have injected a whole new dimension to the event, bringing with them an audience who have inspired a new generation to mix antiques and C20th design in the modern home. 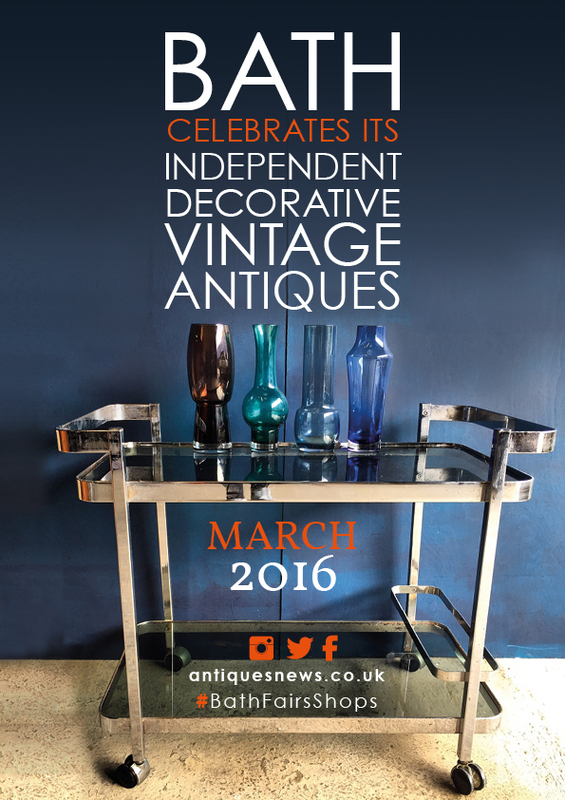 Exhibitors include: Chris Holmes Antiques, Decorative Modern, Molly & Maud's Place and Susannah. For a full list of exhibitors click here. 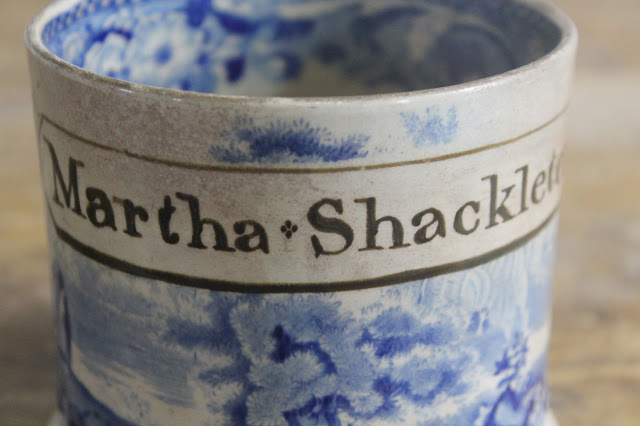 The collaboration of #BathFairsShops will focus on 2 weeks in March kicking off with the BathVA Market on Sunday 6th March with a Brocante turning Green Park Station into a French market for the day followed by the acclaimed Bath Decorative Antiques Fair 10-12 March and finishing on 16 March with the final event hosted by the collaborating city shops. Designed to entice the cool Yummy Mummy brigade around the city to get social and network to support local independent businesses both resident and event based and the event will celebrate the seriously fun shopping opportunities for homemakers of every age who want to embrace green and ethical shopping but who are also keen to remain ahead of the pack on the style front, with unique and affordable pieces which can become family heirlooms with investment potential. During the 2 weeks between Bath Decorative Antiques Fair and the Bath Vintage and Antiques Market, the collaborating group will be organising various exciting events – think candlelit suppers with guest speakers, styling workshops with professional stylists to inspire visitors to work with both antiques and contemporary pieces. Lisa Lloyd is exhibiting at the fair and with her husband Marc Allum, will lead a group from Martini Mums on Saturday morning before the fair opens for a "top picks" early bird preview and brunch. Marc and Lisa are both long standing CMid and collectibles experts on BBC Antiques Roadshow and will give the guest group the benefit of their expert opinion on what to choose to mix antiques and vintage in the modern home. Tickets are free and you can be in with the chance to win a decadent afternoon tea at the Royal Crescent Hotel and a case of luxury champagne courtesy of Antiques News and Fairs! To claim your free ticket and to enter the competition click here. Happy Weekend everyone! Hope you're having a great one. It's been another busy week here of project planning and deadlines, but I did make time for non work on Saturday night! I headed to The Riverfront in my hometown of Newport to see Theatr Pena's performance of The Glass Menagerie. The company are touring around Wales, so don't miss out on one of their performances! Here are some of the links that have captured my attention this week. 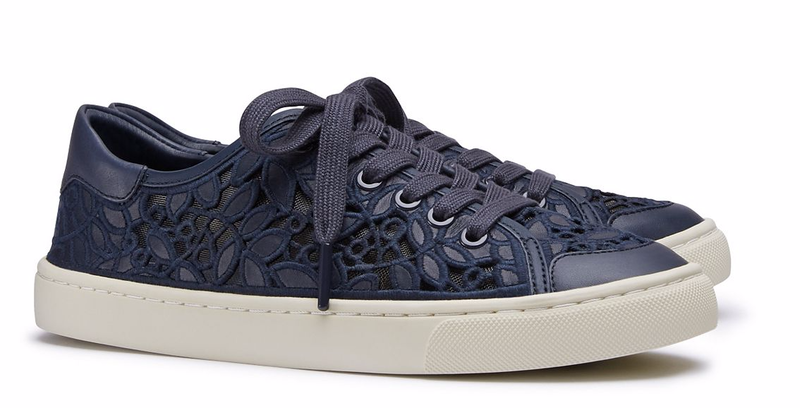 What is it about Tory Burch? This great piece from New York Magazine looks at Burch's new sport line. How to buy European antiques and ship them home: Congratulations to the fab Toma Clark Haines on her piece in Architectural Digest! 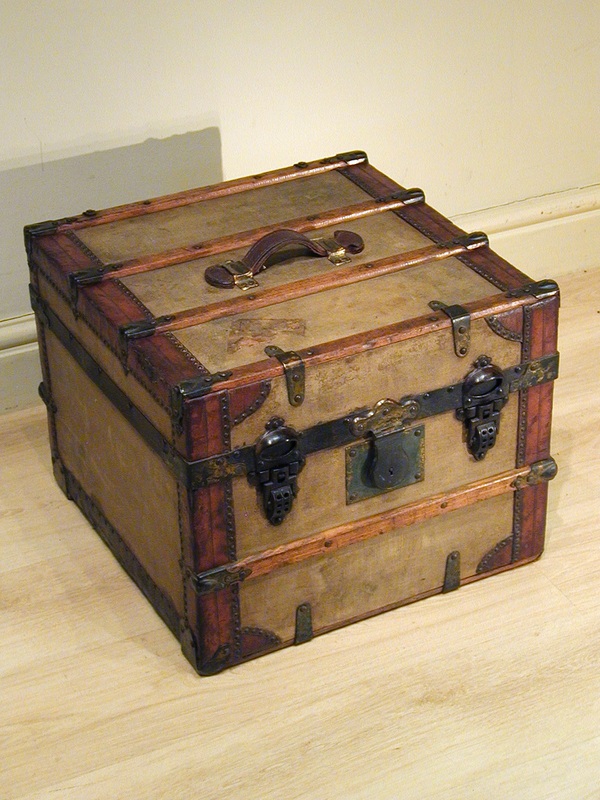 If you're an antiques fan like me and want to know how to ship items safely and easily, Toma's tips are worth checking out. Inside Tommy Hilfiger's Plaza Hotel Penthouse: one word- wow! 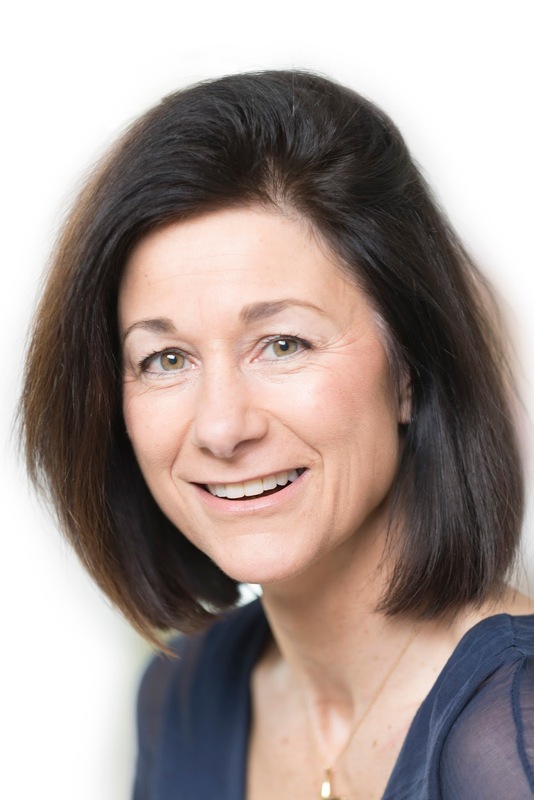 Q&A with Joanna Ferguson, Lorfords Antiques: I absolutely love Lorfords, and the team, dealers and the pieces are out of this world! This great Q&A with Jo, Operations/Marketing Manager at the family run business provides a great update on their latest expansion of Hangar Two! This week, President Obama returned to Springfield, Illinois marking nine years since he announced his candidacy for President of the United States. Watch his remarks to the General Assembly below and read Valerie Jarrett's thoughts here. Another great read is a post from campaign veterans who volunteered on President Obama's campaign back in 2008! 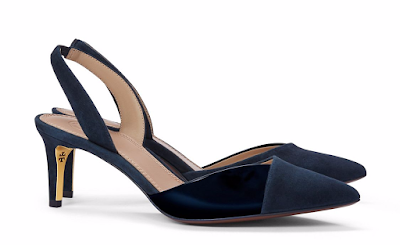 There are some great new shoe arrivals over at Tory Burch! 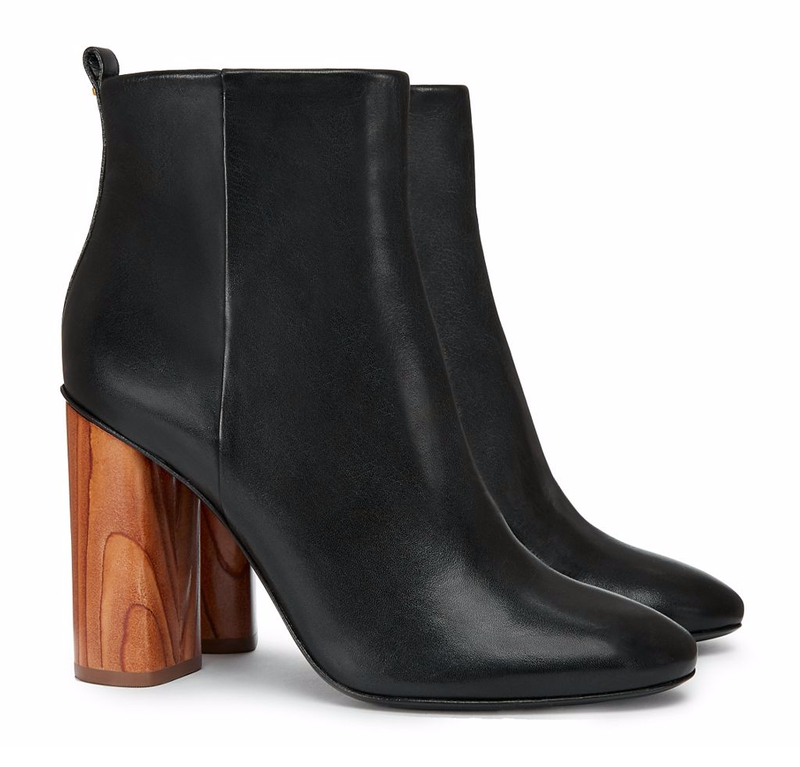 These three pairs are at the top of my list! Travelling is one of my favourite things to do, and I'm excited for a big trip that I've got planned for April! 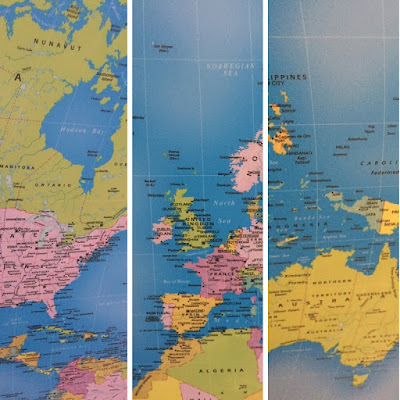 I've always had a fascination with maps, often gazing at our world and plotting my next journey. When I was younger I would write endless lists of countries to visit and places to see, and it was always exciting to cross off destinations when I had finally been there. 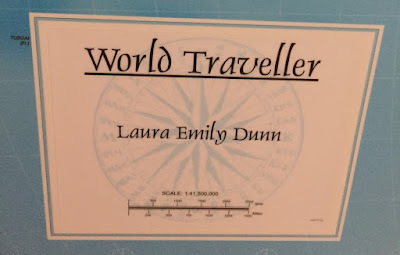 This personalised world traveller map from I Just Love It is perhaps the perfect item for me. It has highly detailed graphics of the world, and comes with 100 different coloured pins that you can easily stick in and remove. It's ideal for personalising your key, allowing you to plot where you have visited, where you'l be going next and to even interactively record your next big adventure. If you're looking to give the map as a gift, a personalised title box is included. The map also comes in a choice of different oak frames. I'll be clearing some wall space to make room for my map. I always remember an anecdote I read about Jacqueline Kennedy's Manhattan dining room. Along one wall was a huge world map, filled with pins detailing where she and President Kennedy had travelled, as well as pins for her children Caroline and John. I imagine it would have been a great conversation starter and a wonderful way to remember the exciting trips that the President and First Lady had taken throughout their lives. When I have my dining room, I'll be doing the same! 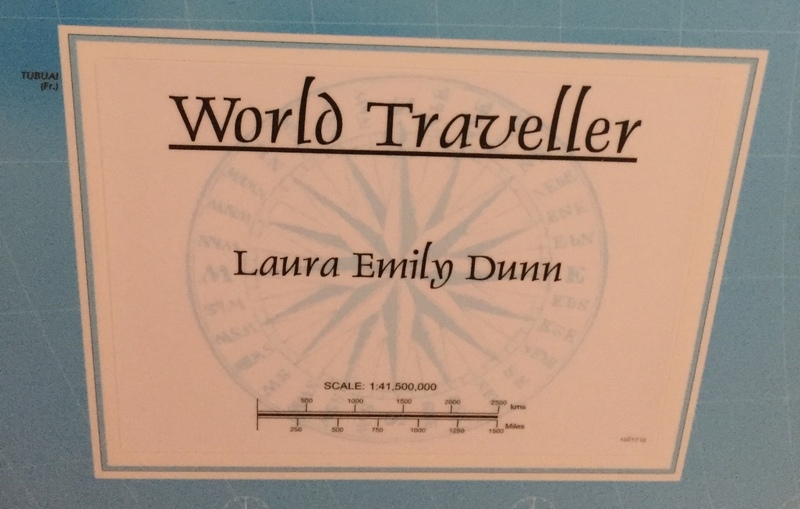 Thanks to I Just Love It for sending me my very own personalised world traveller map! If like me you love design and blogging, then the Design Bloggers Conference is the perfect place for you! Taking place from March 6th-March 8th during the Home & Garden Digital Marketing Week in Atlanta, the Conference will continue its momentum from previous successful events. From writing inspiration, "iphonography" tips, social media management integration, business management tips and editing tips from the insiders, the agenda is action packed and full of big names and incredible networking opportunities. This year's keynote speaker lineup is star-studded: From fashion designer Cynthia Rowley to the ever fabulous India Hicks as well as celebrity designer Nathan Turner and the closing address from award winning interior designer Mary McDonald. On March 8th at the conclusion of the Design Bloggers Conference the experience will transform to the Home Design Digital Marketing Summit. The first ever of its kind, this Summit is the only conference for the Luxury Home and Garden Design community which offers guidance, high level networking, education, and practical takeaways on the newest and most important internet marketing initiatives for industry marketers. Joining the Summit after the Design Bloggers Conference is a must! For further details about the Design Bloggers Conference and the agenda click here. Hooray for the weekend! Hope you've had a fun week and have said goodbye to the January blues. My week started off with a fun brunch with a friend, and was majorly productive in many ways! My weekend will be spent working on several big projects and watching the first games of the Six Nations! 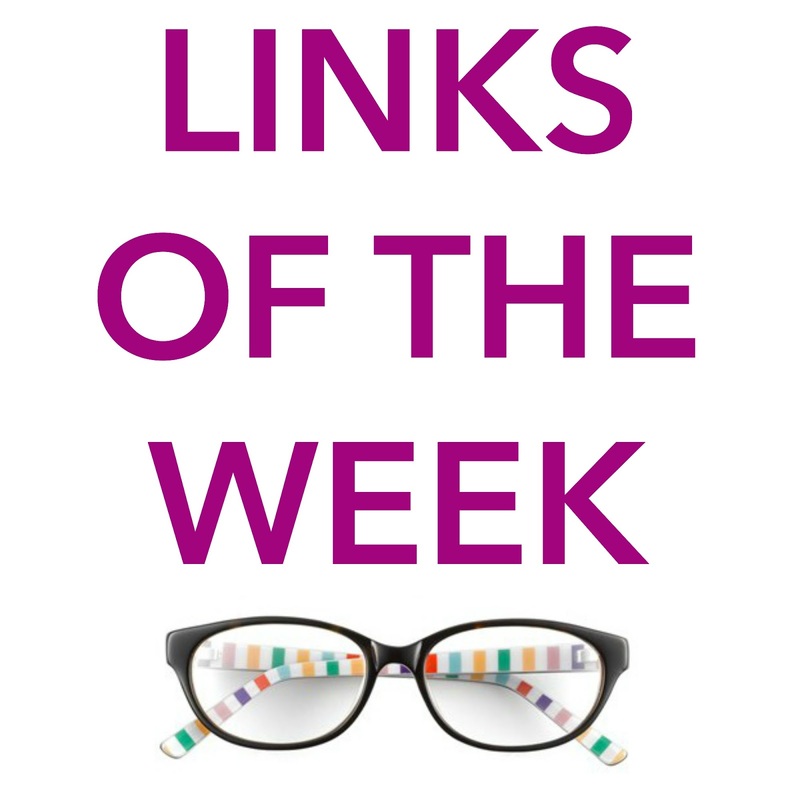 Whatever your plans are this weekend, here are some interesting links for you check out! Styling your Valentine's Day table: I'm really excited to be contributing to the Lorfords blog. I hope you'll check out my first post with tips on how to style your table for Valentine's Day! Is imposter syndrome a sign of greatness? : a fascinating article focusing on the imposter syndrome. Many of us suffer from this, but is it a sign of greatness? How well do you know The Parent Trap? this movie! I used to watch it on repeat when I was younger. Definitely a quiz for the real fans amongst us! 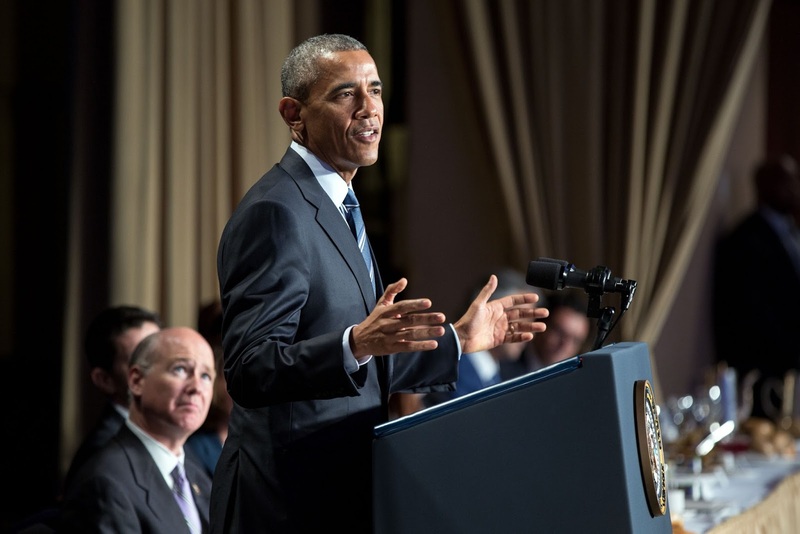 This week, President Obama delivered remarks at the National Prayer Breakfast. He spoke about the strength that comes from uniting all faiths against fear and touched on how his own faith guides him. Cartier is one of my favourite jewellers, and as someone who loves anything that sparkles, I can never revisit the chance to take in their fantastic window displays when I'm nearby one of their stores! 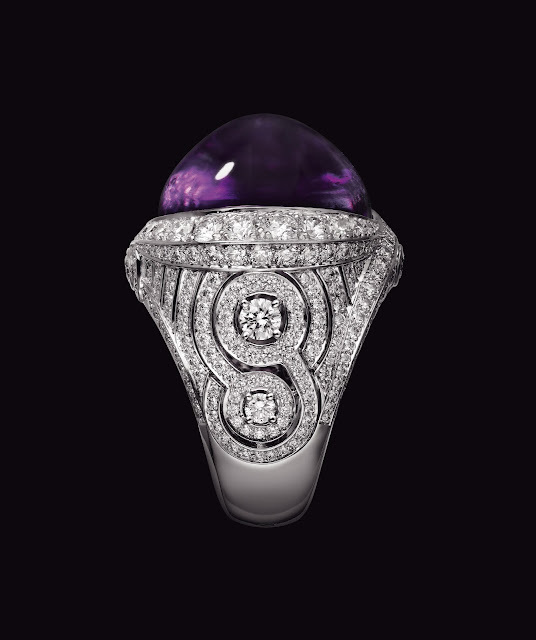 Cartier has a reputation for excellence, and the secrets of the brand's unique expertise and its commitment to self-reinvention have made it beloved the world over. 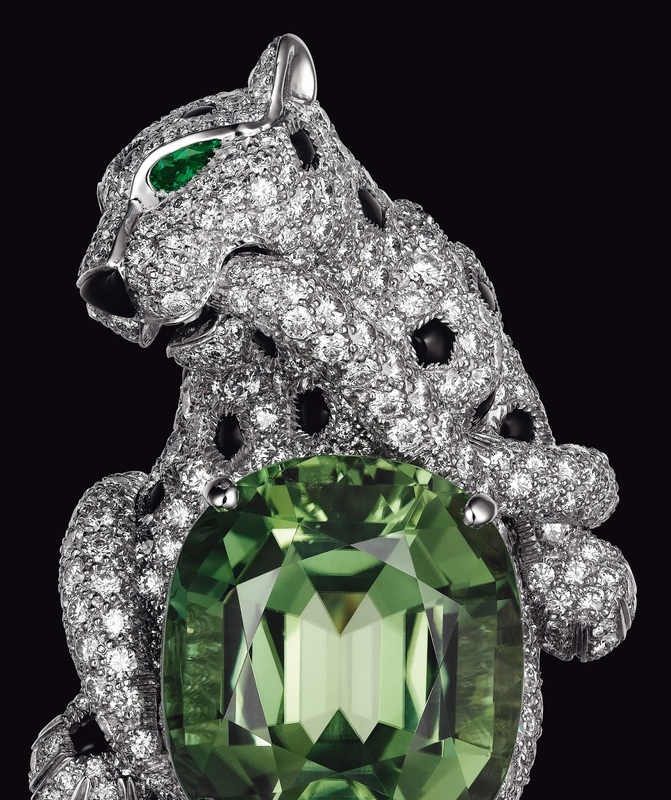 A new book is treating us to a front seat into the latest creations from the famous jeweler, with high jewelry and precious objects taking their place amongst the pages. Cartier Dazzling: High Jewelry and Precious Objects provides an insight into precious stones and the craft of fine jewelry making, displaying their newest creations in a fascinating light. From an intoxicating look into the magic of India, to tales of the Romanov Sapphire, you'll be spoiled to choose which is your favourite piece! 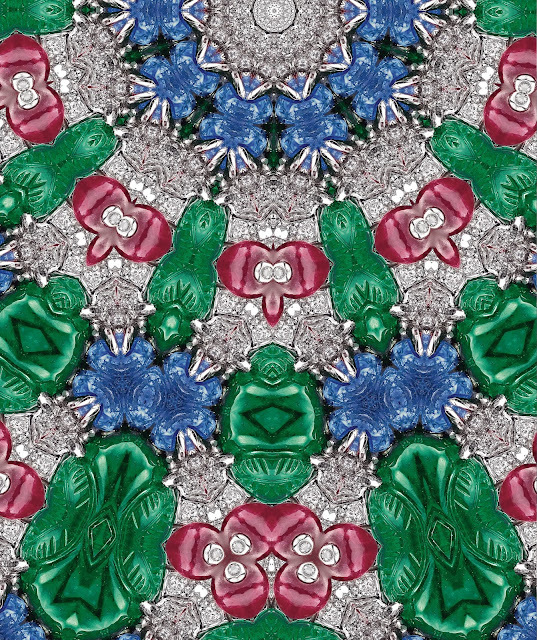 With sketches and insights into the creation process, this is one book that jewelry and Cartier fans won't want to miss. Thanks to Rizzoli for sending me an advance copy of Cartier Dazzling! How can you take an everyday scene and turn it into a beautiful fashion item? 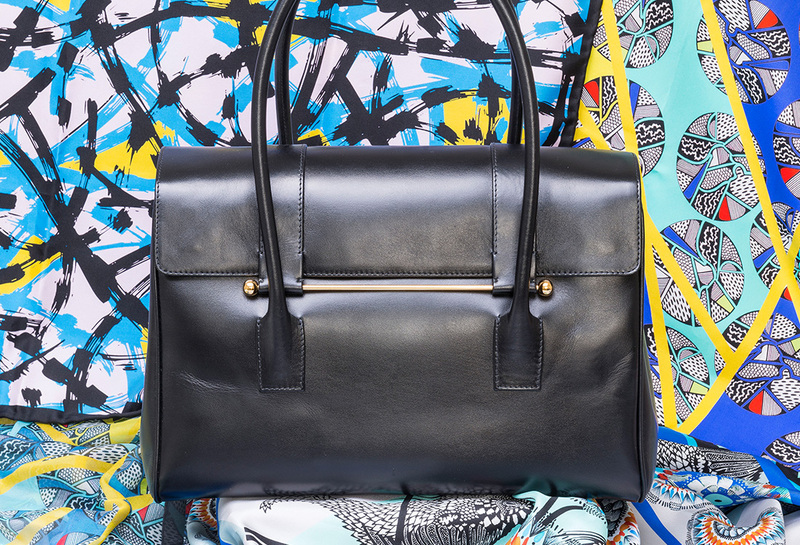 Maya von Geldern and K'era Morgan, the creative geniuses behind Ink & Tailor know how! Starting their business after twenty years, Ink & Tailor is a culmination of their friendship and shared passions. 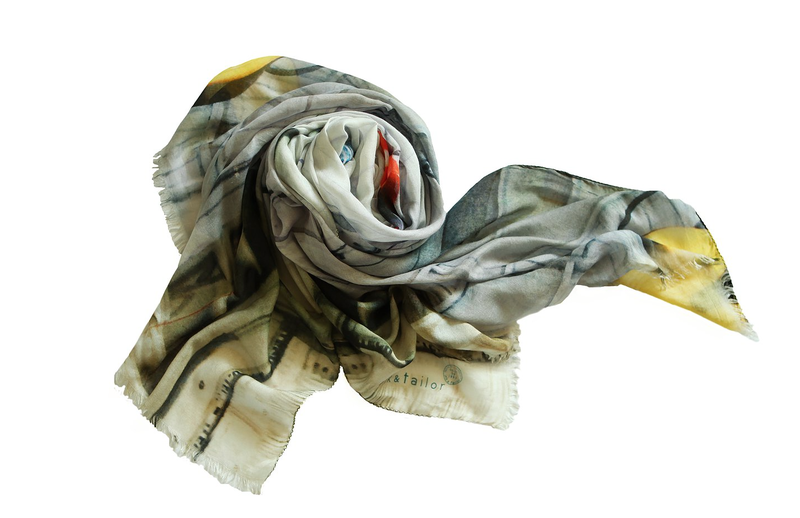 The duo has cleverly blended art and apparel; transforming a static image, a captured moment, into fluid works of art meant to be draped, wrapped and worn. They give a new perspective to the mundane, elevate the ignored and celebrate all that’s beautiful whether it be oddities or the simple joys in life. A fashion favorite for those who desire a bit of the unexpected, Ink & Tailor couples the whimsical with sophistication. Each piece is a limited edition and each collection is inspired by the people, places and things close to home, as well as far away. In a world of different perspectives, their goal is to share their interpretation of the world captured through a camera lens. 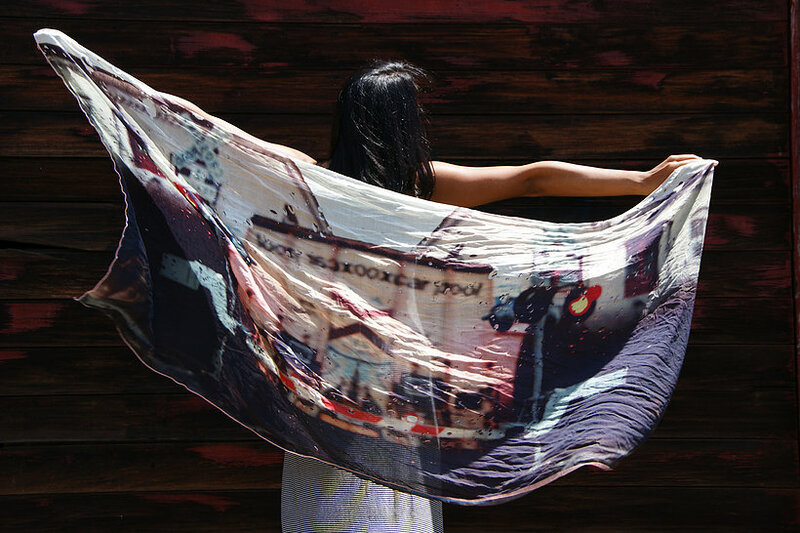 From a downtown bakery in Los Angeles to the urban paradise of Honolulu, each scarf has its own individual story and journey to tell. 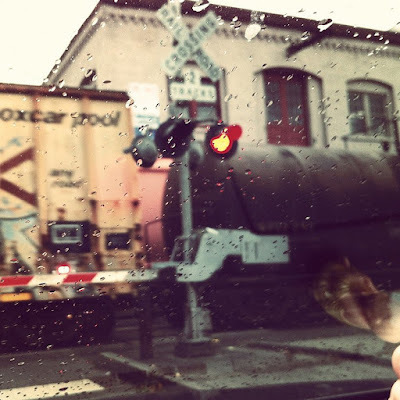 I particularly love the Railroad Crossing, photographed in Portland, Oregon. Texas law once stated that when two rains meet each other at a railroad crossing, each train shall come to a full stop and neither shall proceed until the other has gone. I wouldn't have known this if it wasn't for Ink & Tailor! With a range of beautiful images to pour over, Ink & Tailor is passionate about creating high quality products whilst giving back to society. 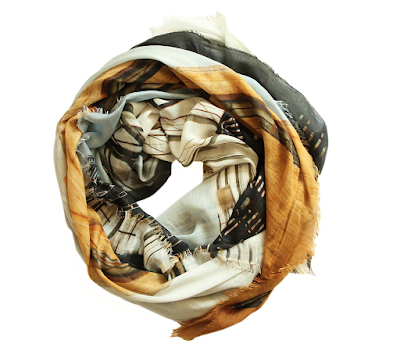 It has partnered with the Creative Visions Foundation to create a limited edition scarf to further support their efforts in nurturing creative activism and social awareness whilst igniting change through the media and arts. 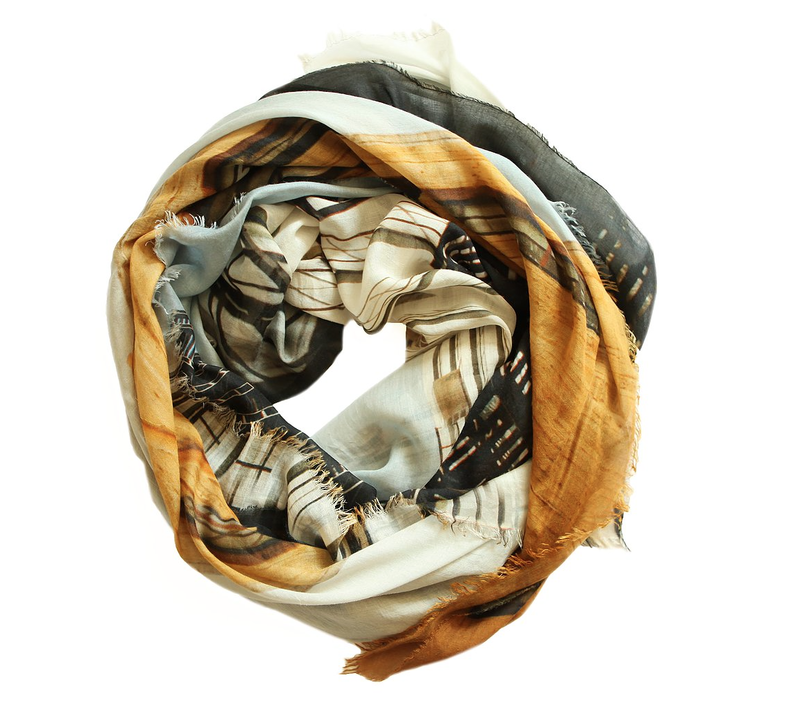 I'm looking forward to wearing my scarf this spring and reigniting my love of photography thanks to Ink & Tailor!